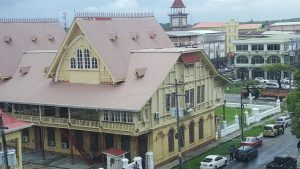 The United States (US) is the latest Western Nation to have issued a call for Guyana’s High Court to swiftly settle the ongoing controversy over the appointment of Retired Justice James Patterson as the Chairman of the Guyana Elections Commission (GECOM). “While we urge everyone to engage in democratic dialog to discuss differences of opinion, we stress that the Courts is the ultimate and best option for any legal disagreement in a functioning democracy. That said, I think all involved agree that this matter is too important for all for it to languish in the legal system, so a quick resolution to any court challenge is necessary,” American Ambassador to Guyana, Perry Holloway said in a statement. Immediately before and since last week’s unilateral appointment by President David Granger after he rejected all 18 of Opposition Leader, Bharrat Jagdeo’s nominees, the opposition People’s Progressive Party (PPP) and several private sector organisations have condemned the appointment. The PPP has since challenged the appointment in the High Court on several grounds including the alleged unconstitutionality of Granger’s appointment and the apparent lack of political impartiality of Justice James. The PPP is contending that the President is obliged to pick a name from the list submitted. Chief Justice, Roxane George-Wiltshire has fixed November 16, 2017 at 1:15 PM for the start of the case. This is the first time since the introduction of the Carter Formula of three opposition- three governing party and one chairman from a list of six nominees submitted by the Opposition Leader that a President has picked someone unilaterally and has ignored the nominees on the basis that they are not fit and proper. The High Commissioners of Canada and the United Kingdom have issued similar calls in the privately-owned Stabroek News. Following is United States Ambassador to Guyana, Perry Holloway’s statement on the issue. 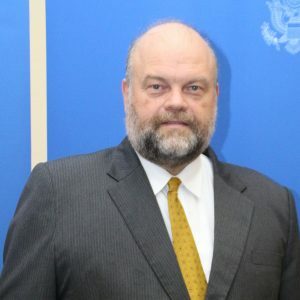 Like others, my Embassy has been following closely recent developments surrounding the appointment of the Chairman of the Guyana Elections Commission (GECOM). Many sectors in Guyana have asked for me to comment using the freedom of expression offered by the constitution of Guyana. I recognize that as in any democracy, the Constitution of the Co-operative Republic of Guyana is the supreme law. I am confident that everyone, in spite of personal or political differences, wants to uphold this foundational document and to act within it, and I encourage everyone to do so. I recognize, however, that there has been serious disagreement over the recent appointment of the GECOM Chairman. While we urge everyone to engage in democratic dialog to discuss differences of opinion, we stress that the Courts is the ultimate and best option for any legal disagreement in a functioning democracy. That said, I think all involved agree that this matter is too important for all for it to languish in the legal system, so a quick resolution to any court challenge is necessary. I encourage all to act with dignity and respect in moving forward Guyana’s democratic development.